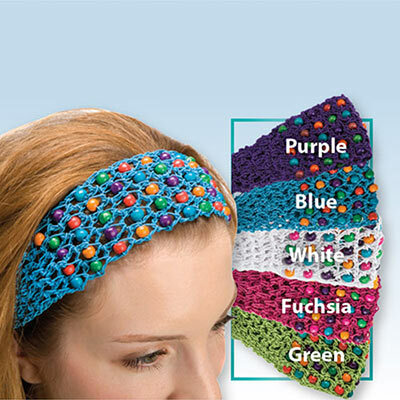 This Colorful Crocheted Beaded Headband comes in vibrant shades to go with every outfit! 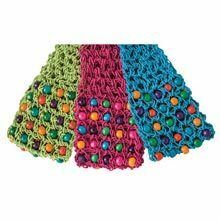 The richly textured, crocheted pattern is dotted with colorful wooden beads. Stretchy, pull on style in polyester. Imported. 2½"